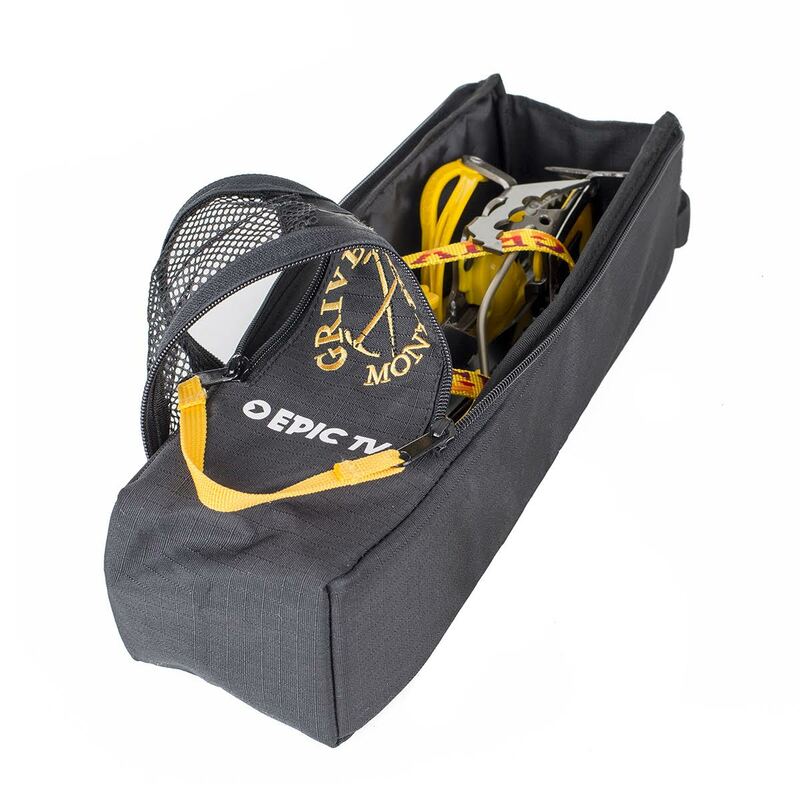 The Grivel's Crampon Safe stows your crampons in a safe way. 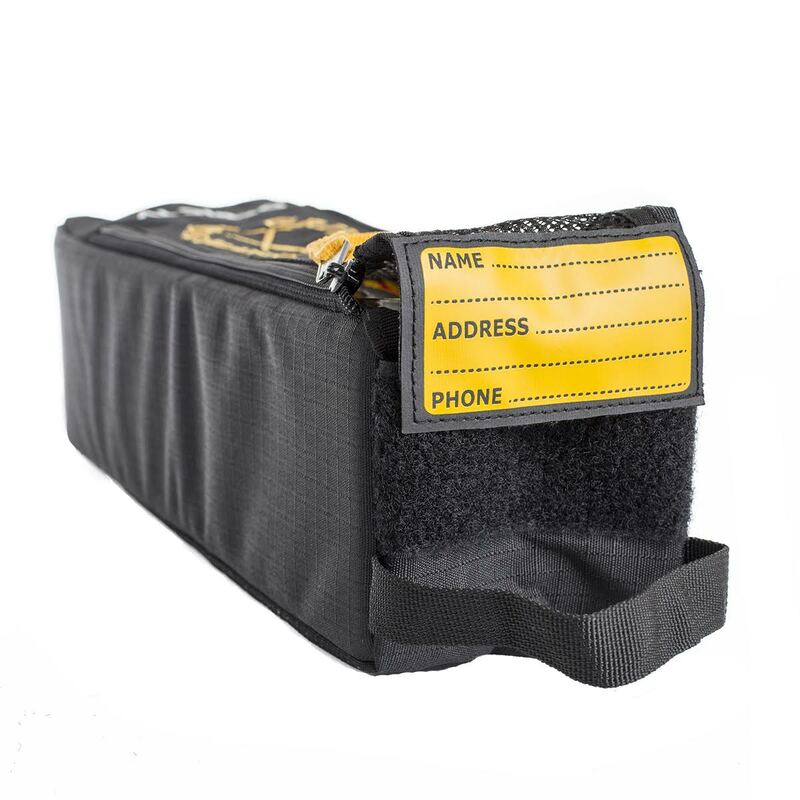 It protects the content of your rucksack from the sharp points of your crampons. Solid reinforcement on the bottom. Wide opening with two zips and easy fitting through the big gate. The front mesh allows transpiration and helps the drying of the gear. 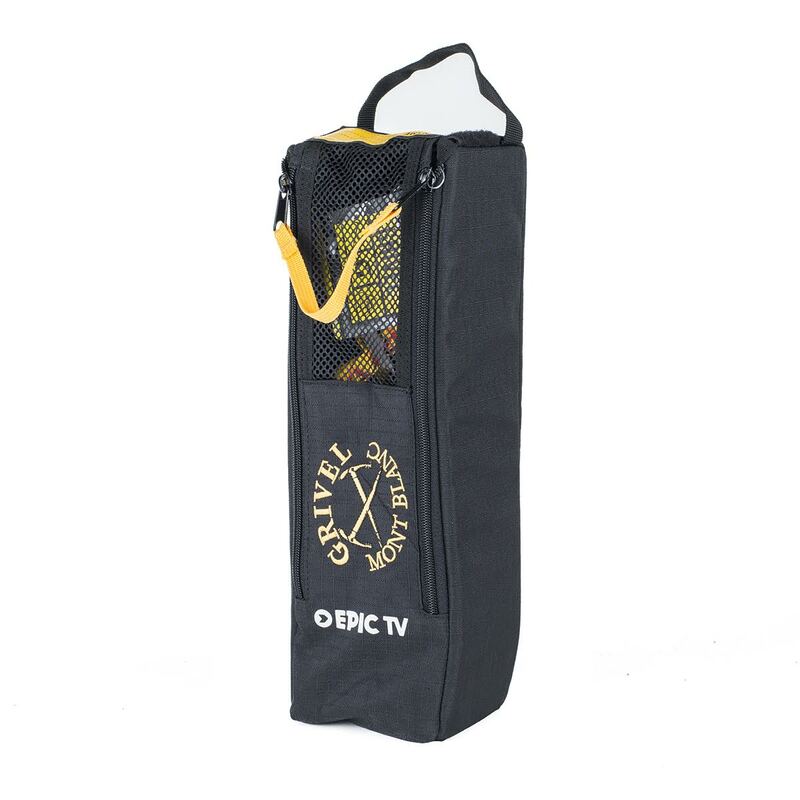 It features our Epictv logo!